strength and agility they are unstoppable. One day, the four girls are assign to kill four aristocratic boys. However there is a problem; no one knows who the targets are. Hey people! 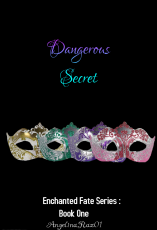 Its me, AngelinaRaz01 and this is the second chapter of my story 'Dangerous Secret'. Anyways, don't forget to R&amp;R, people.Bye!